1. 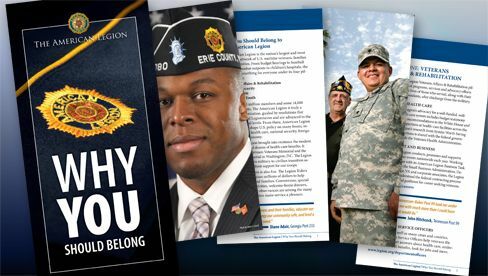 Complete American Legion Membership application by clicking on "APPLICATION" button. 3. Membership Dues Payment. Dues. (Amount Shown on Application). Make checks payable to our Post listed above. DO NOT SEND CASH. 4. If the information is correct, membership will be approved and then a membership card will be mailed to you. 5. Please see eligibility dates below. a. Completed Member Data Form. 6. Membership dues payment, if current year dues are not paid. If current dues are paid, please pay dues for next year's membership. Because eligibility dates remain open, all members of the U.S. Armed Forces are eligible to join The American Legion at this time, until the date of the end of hostilities as determined by the government of the United States. For any questions please contact our membership chairman, or stop at the Post. Click on the gold star "Application" menu button for an online application form.